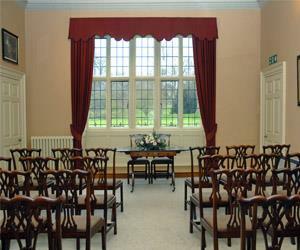 Wedding Ceremony Venue at Blickling Hall01263 738045work Wedding Ceremony VenueThis great Jacobean House, surrounded by rolling Norfolk countryside and parkland, is an impressive setting for wedding ceremonies and receptions. The magnificent yew tree-lined driveway leading to an impressive façade creates a dramatic and stylish approach to your wedding. The private suite of rooms, including the Garden Room, Lord Lothian’s Study and the Blue Drawing Room, make this a versatile venue for a ceremony, drinks reception and celebration banquet. With its separate entrance and beautiful views overlooking the Parterre gardens and lake, this suite is a lovely peaceful setting for a wedding. and unusual venue for smaller ceremonies. Following the ceremony, guests can enjoy a glass of champagne whilst wandering round the breathtaking gardens. For a fairy tale marquee setting, the Parade or Lakeside sites offer picturesque locations. The ornamental lake and glorious parterre gardens also provide a wide variety of settings for your photographs. This great Jacobean House, surrounded by rolling Norfolk countryside and parkland, is an impressive setting for wedding ceremonies and receptions.